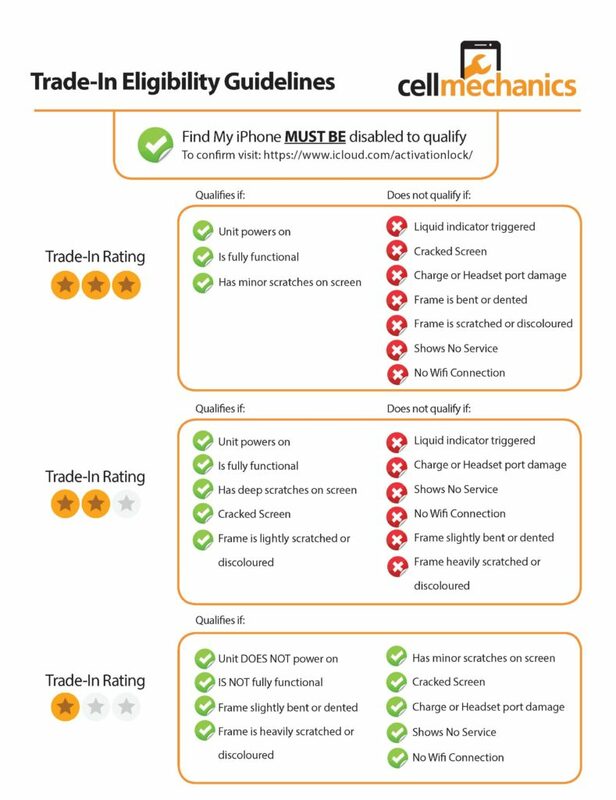 Cell Mechanics will buy your used device, even if it’s not working! Q: How do I turn off or check “Find My Phone” status on an iPhone? A: Just click here for instructions on how to turn off Find My Phone or to check the status. Q: How much will I get for my phone? call us and we can provide you an estimate. A final price will be provided in-store, once the device has been inspected. Q: Will you buy my phone if it is not working? A: Yes, even if your device is not working you still may qualify to get cash for it.